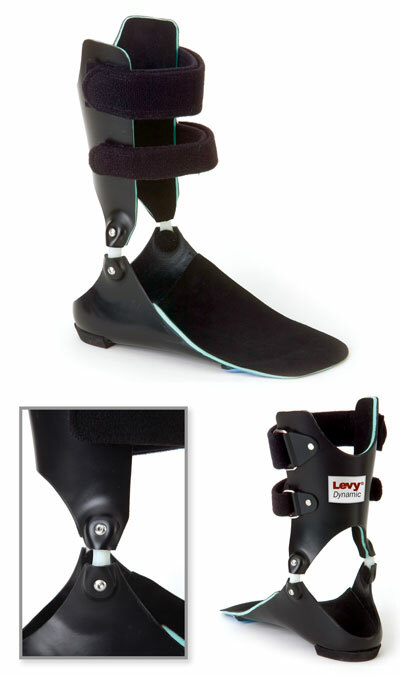 The Levy Dynamic is manufactured with double Velcro straps, full custom uprights and a custom functional foot orthotic base. The custom footplate can be trimmed to met head, sulcus or full length. The device can be ordered with dorsi-assist or free motion Tamarack ankle joints to treat a variety of pathologies of the foot and ankle. All modifications and accommodations are included at no extra charge.